In case you early birds missed it we're all over the internet today (ok we're in one small corner but it's a very lovely corner). 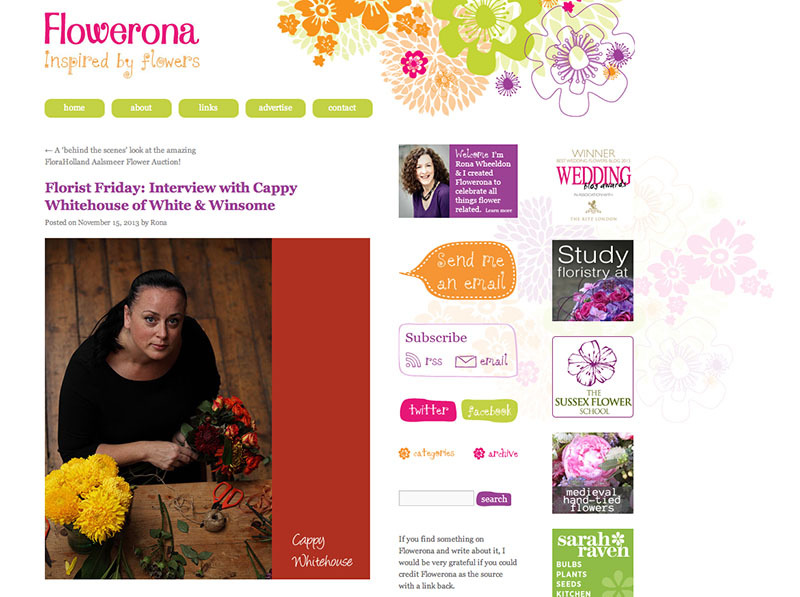 Thanks to the wonderful Rona at Flowerona for this interview. And thanks also to blog commenter Marilyn Vincent who thinks writing should be my next adventure! Get back to you on that one.